This black suede cross body bag is perfect if you want to embrace the trend for smaller bags and carrying around less clutter with you. 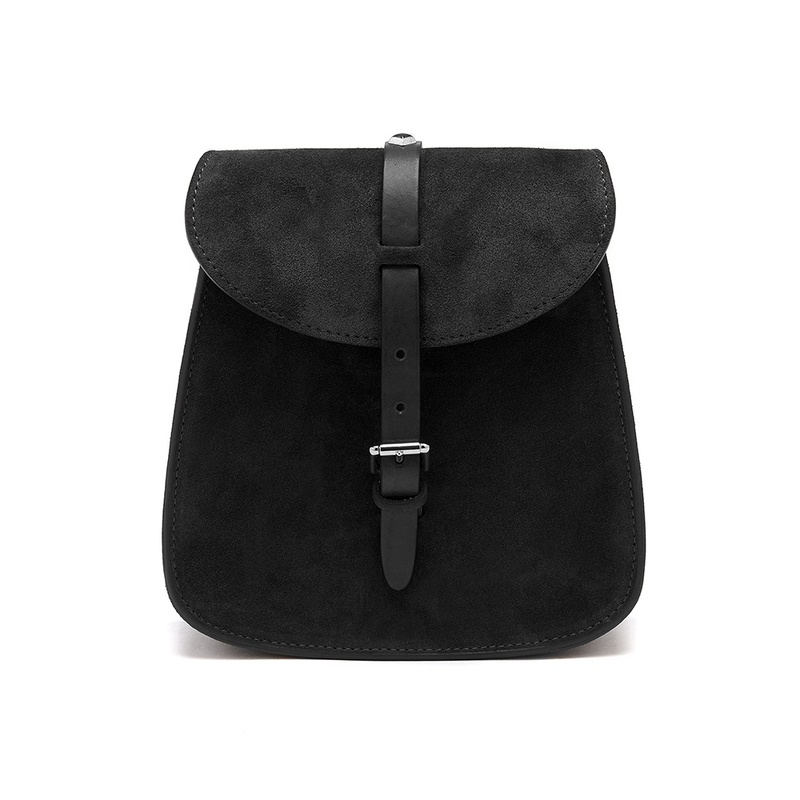 The body of the bag is in black suede while the strap and fastenings are in premium quality leather with silver buckles. The shape of the bag is both classy and understated while being given a contemporary edge by the addition of a silver stud on the top of the fastening strap. 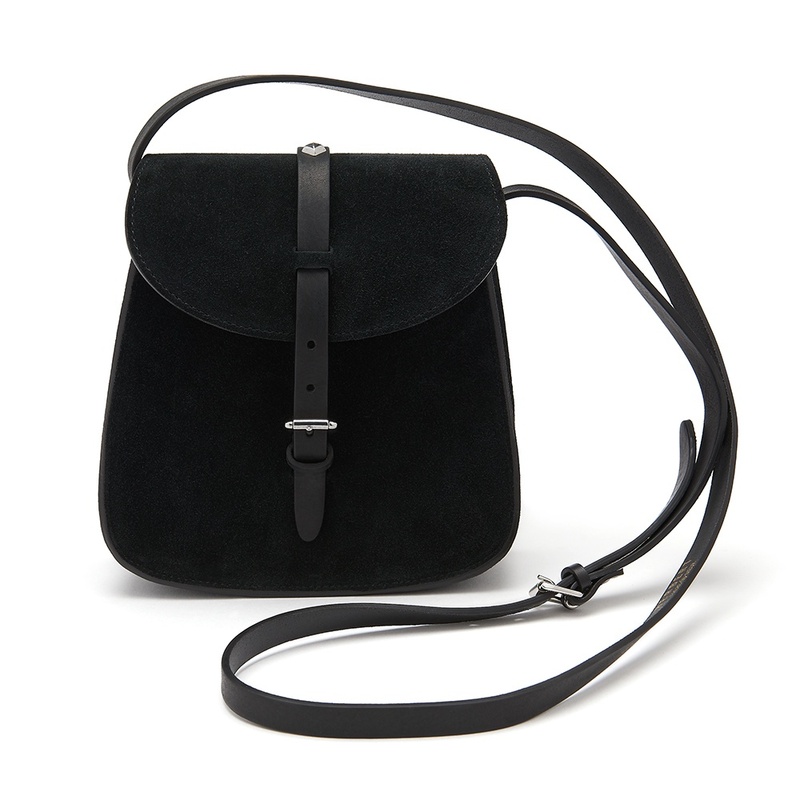 The black suede cross body bag can either be worn over the shoulder or across the body. The bag is also available in chocolate and khaki. HERBERT Frère Soeur is another new supplier for cleverlwrapped this AW18 season. Favien, the brother and Camille, the sister, decided to create an authentic brand in modern leather goods utilising their family heritage in leather. 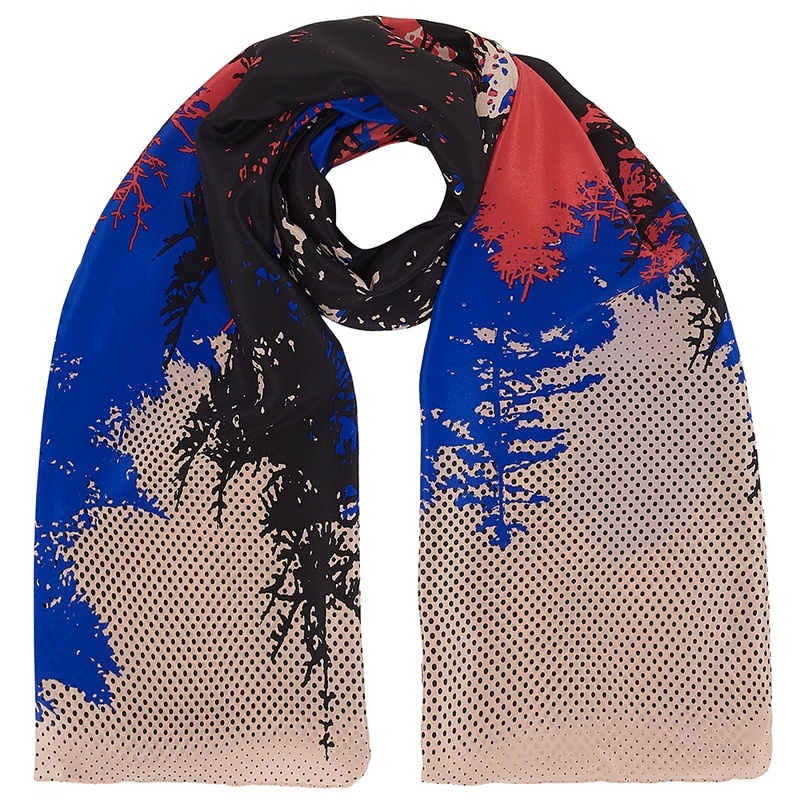 All their products are designed and created in Paris and produced in Fougères. HERBERT Frère Sœur produces a contemporary line of bags and belts, combined with refined shapes and designs using genuine vegetable tanned leather. 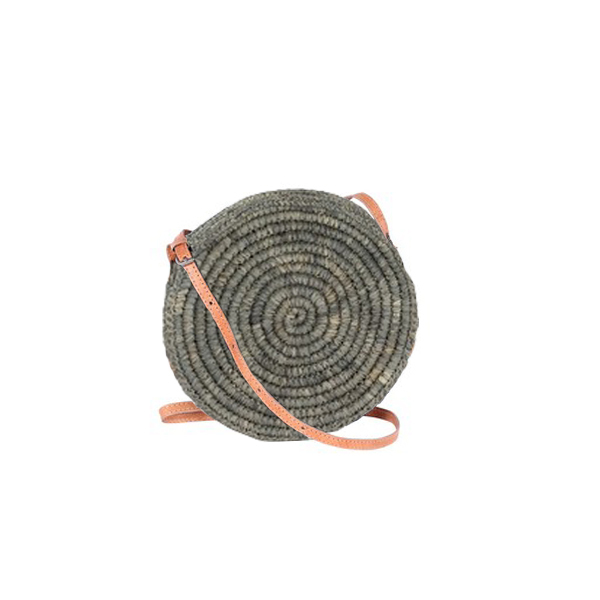 We love their minimalist classy cross body bags and the one sized belts which we consider very clever. 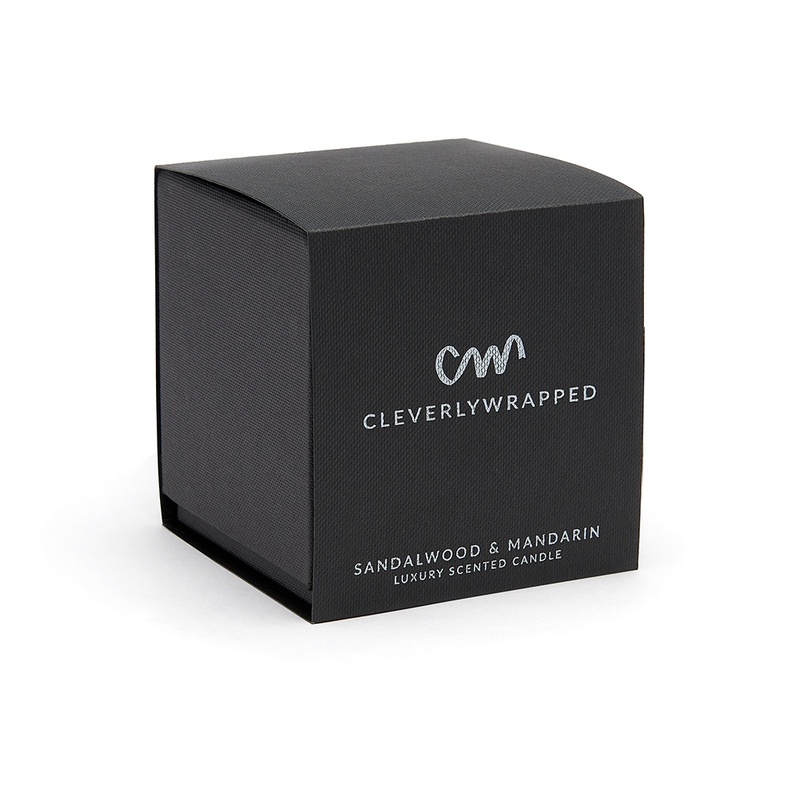 All cleverlywrapped orders arrive beautifully gift wrapped in our bespoke packaging. Each bag is wrapped in tissue which is sealed with our black and white CW stickers. The bag is then placed in a premium quality charcoal grey box which is then tied with our colourful gros grain ribbon which has our cleverlywrapped logo printed on it. So the bag is cleverlywrapped and so is the user!